KAMPALA – Political parties have called for enactment of a law that will stipulate the role of legislators who come as independents in Parliament. Article 72 of the Constitution provides for independents to stand for election and come to Parliament. 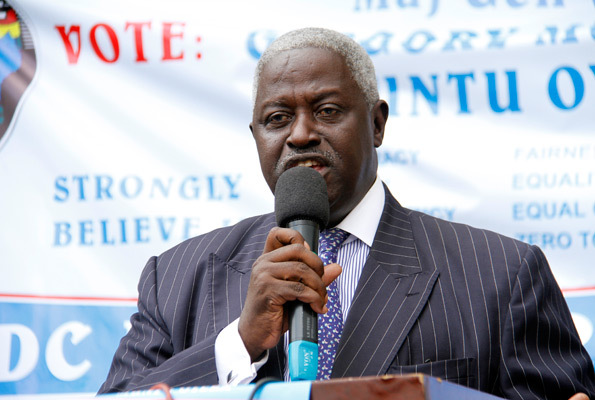 However, 20 leaders of political parties during the national consultative council meeting chaired by Forum for Democratic Change (FDC) chairman Wasswa Biriggwa in Kampala on Wednesday, said most of the independents are not neutral but rather are leaning to the ruling party. “We want the independents regulated because we think they have had enough freedom in parliament and we have also realised that they help one side, the ruling NRM party which always bribes them,” Mr Biriggwa said. The current 10th Parliament is composed of 66 independents, far outnumbering the representatives of opposition parties FDC, DP, JEEMA and UPC combined. Mr Saddam Bisase, the chairman of the Congress Service Volunteers party, said government has relaxed its restriction on the number of independent politicians after realizing that it can compromise them to serve its interests. “Government used to regulate these independents but now that they have seen that they can easily allow falling on their side, they do not want to touch them anymore. I think this is wrong and they should be abolished,” Mr Bisase said. The number of independents increased ahead of the 2016 elections following NRM’s acrimonious primaries in 2015. More than half of the 2,000 nominated candidates in the 2016 parliamentary and local council elections were Independents, outstripping the ruling NRM party and all other political parties. In the parliamentary and LC5 races, there were 1,102 Independents competing against 1,022 flag bearers for the various political parties. Article 81 (h) (i) of the Constitution bars Independents from participating in activities of political parties. The article stipulates that a person elected as an Independent loses his/her seat upon joining a political party or being appointed a public officer.